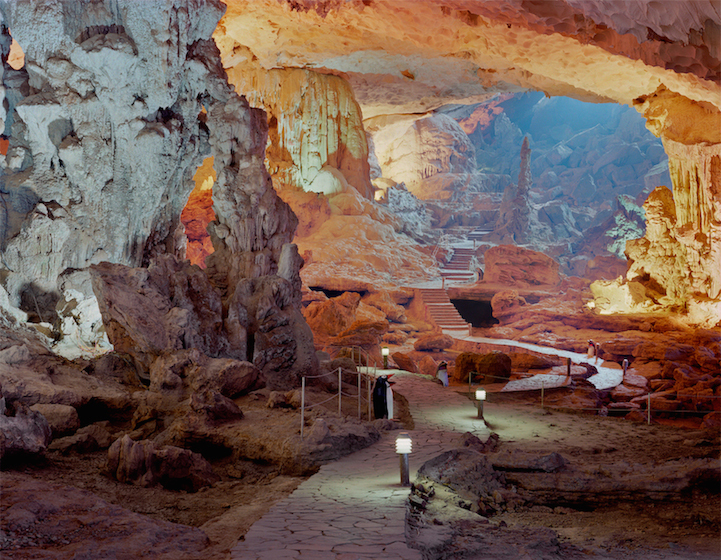 Human beings have been drawn to caves for hundreds of thousands of years, using them as shelters, burial sites, and places of worship since the beginning of mankind. 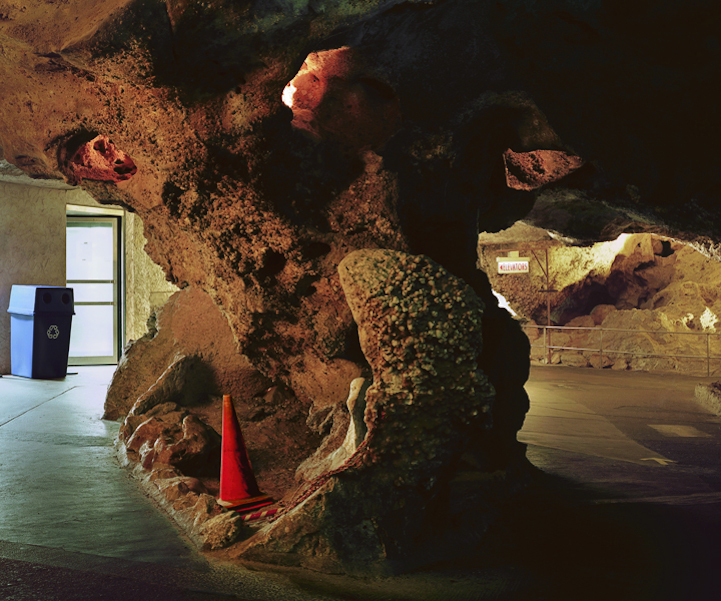 Nowadays, many of these geological formations have been turned into “show caves”—natural caves managed by government or commercial organizations that have been modified to accommodate tourism. 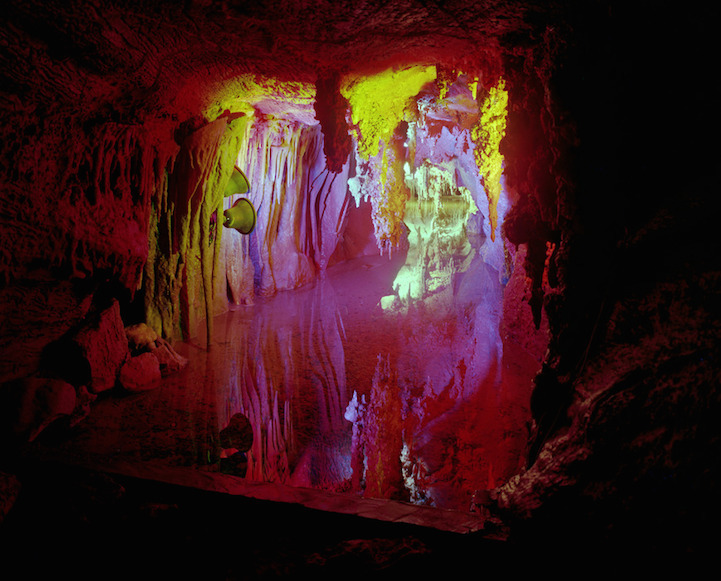 Los Angeles-based photographer Austin Irving has been documenting such caverns for years in her series Show Caves, traveling all over the United States and Southeast Asia to photograph these natural wonders turned into tourist attractions. 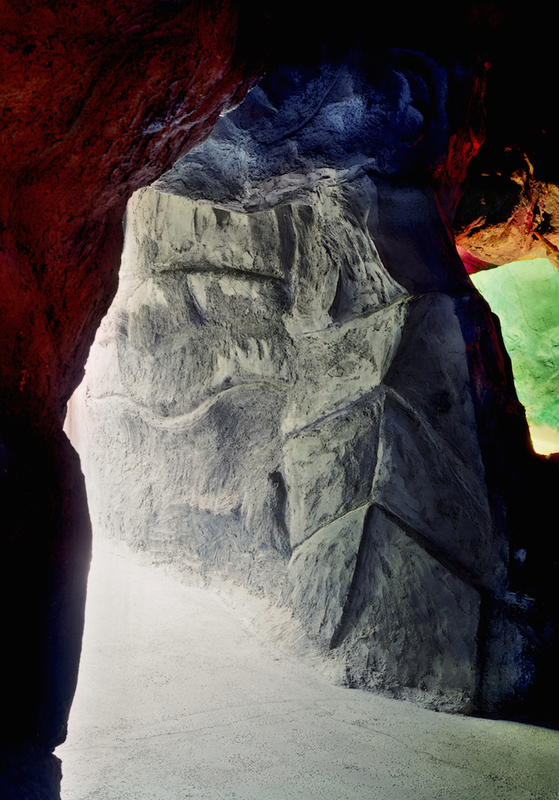 Irving’s images show the obvious evidence of human intervention in these underground spaces. 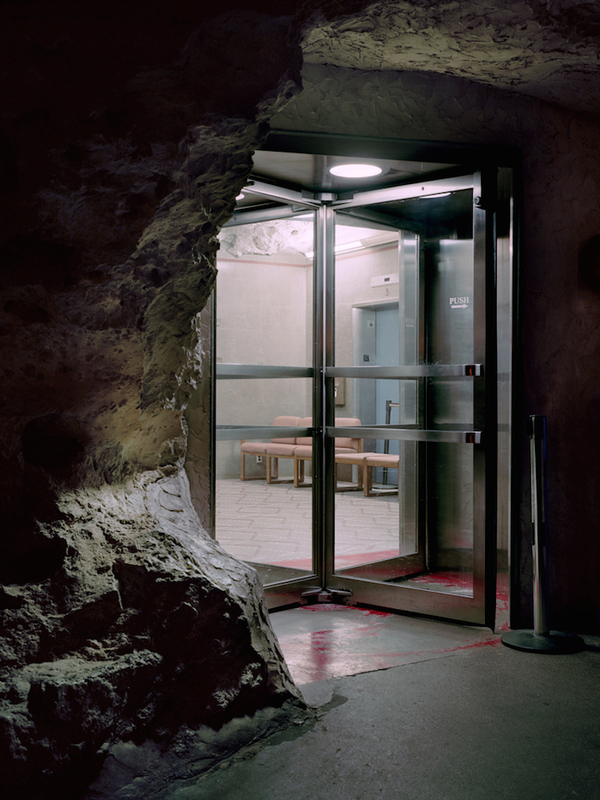 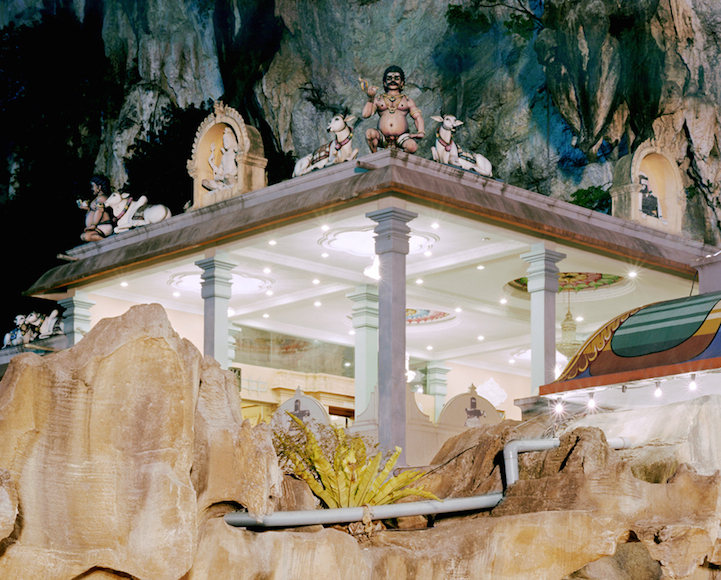 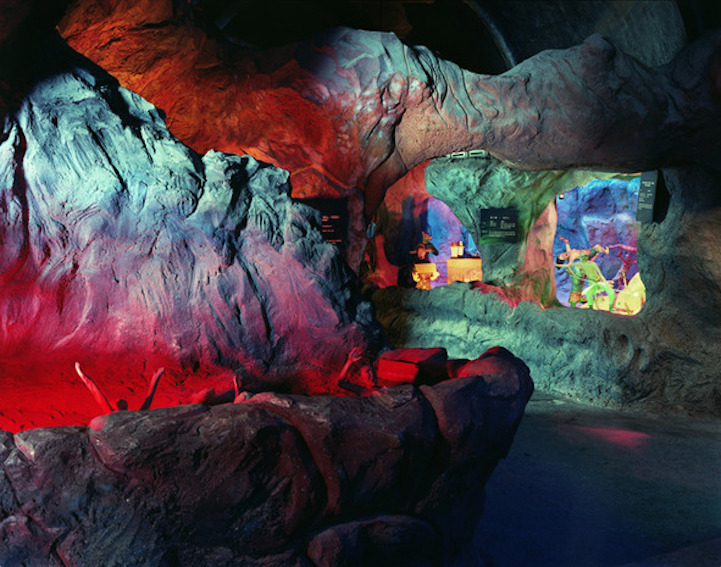 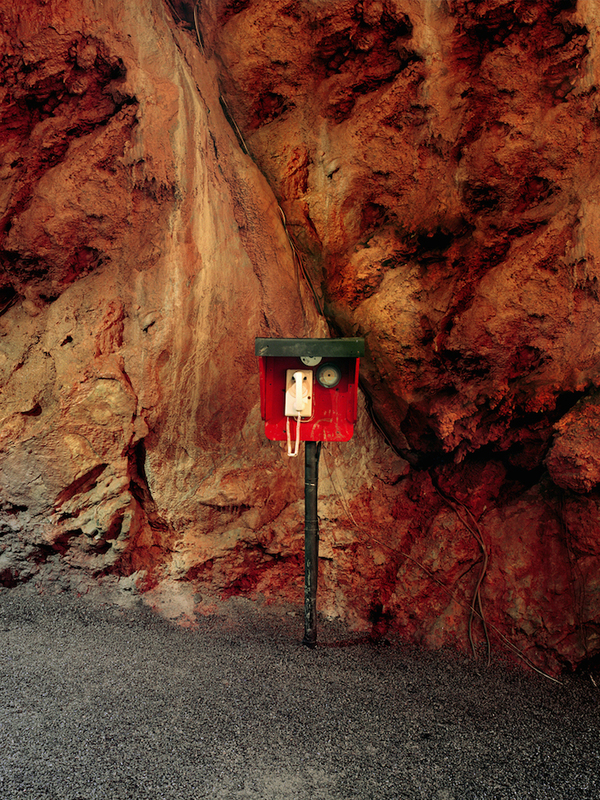 Using a large-format camera, the photographer captures the grotesque beauty of show caves, depicting manmade additions like artificial lighting, gift stands, concrete paths, and steel doors standing in stark contrast with the natural rocks, craggy overhangs, and darkness of the caverns. 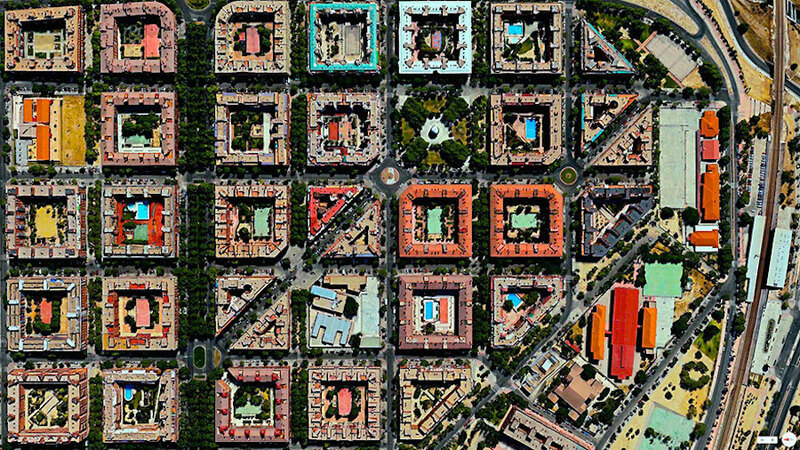 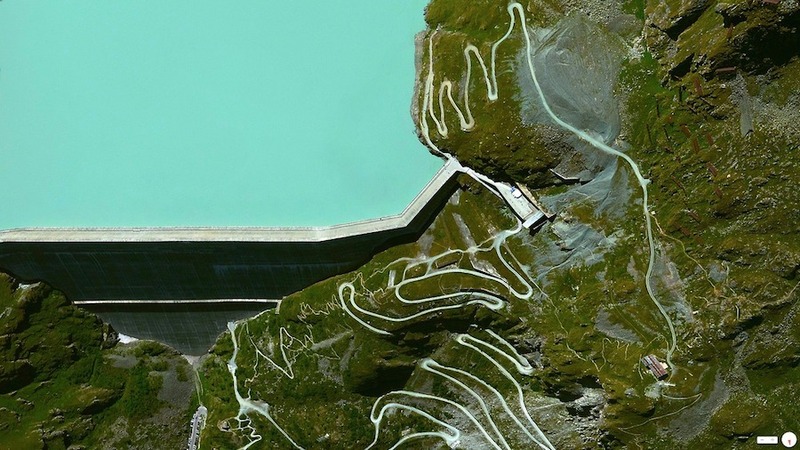 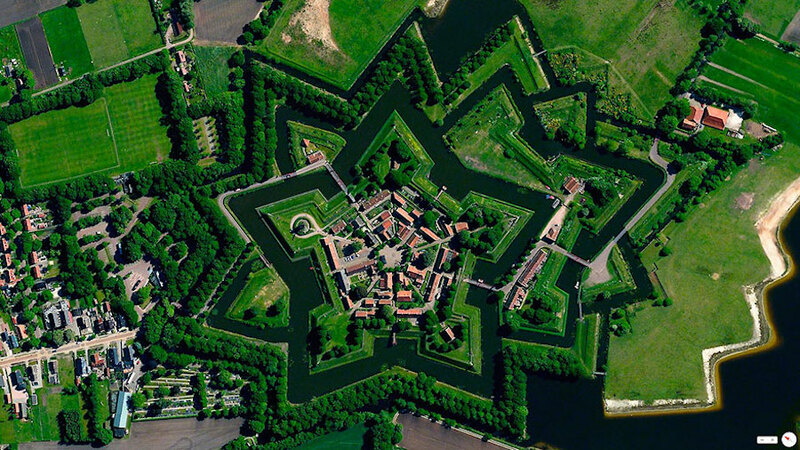 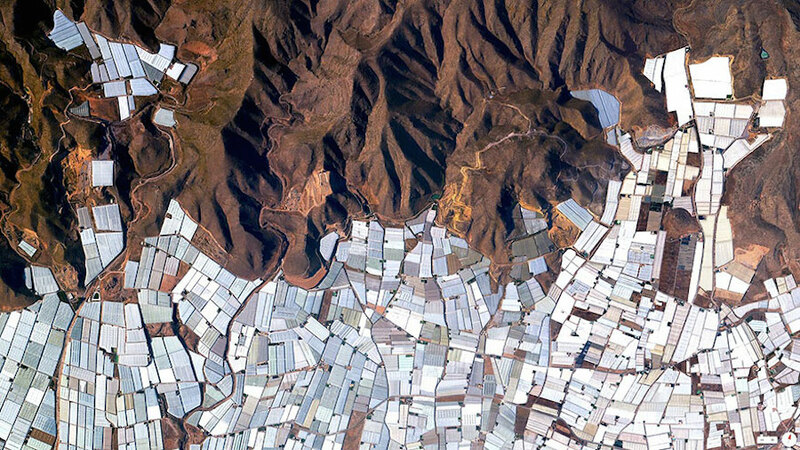 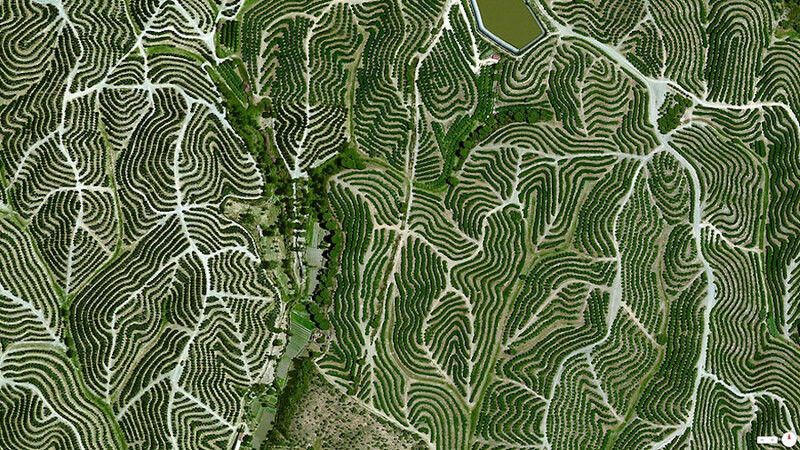 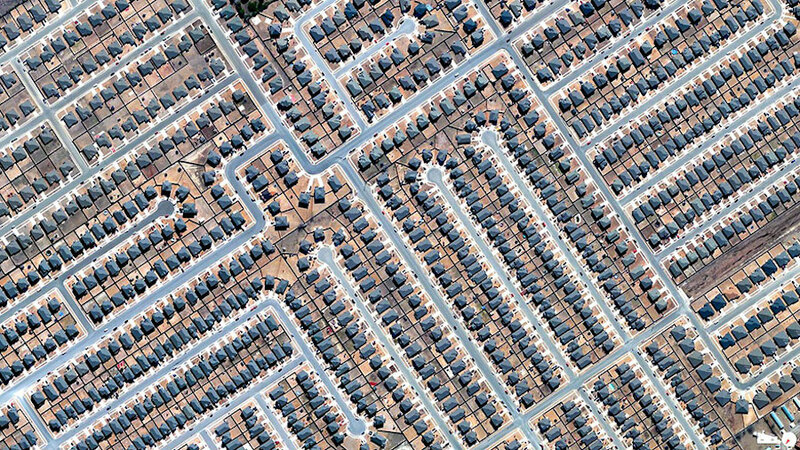 Daily Overview is a project that shares one satellite photo from Digital Globes a day in an attempt to change the way we see our planet Earth. 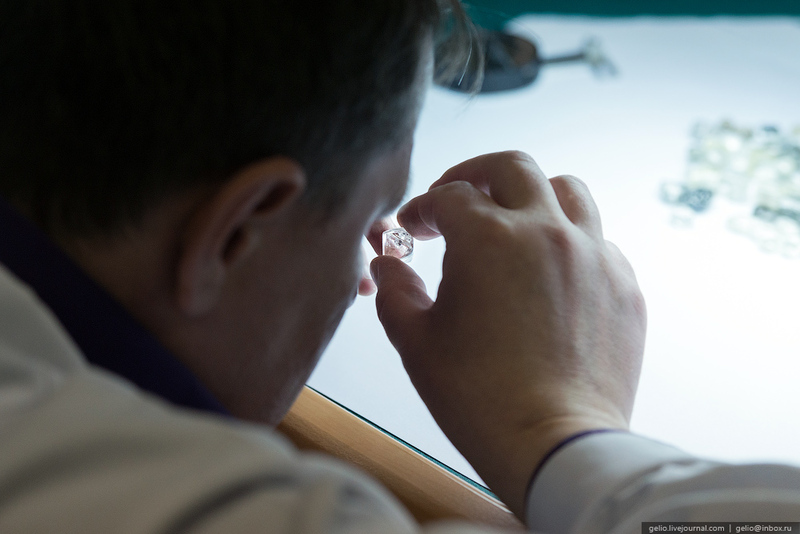 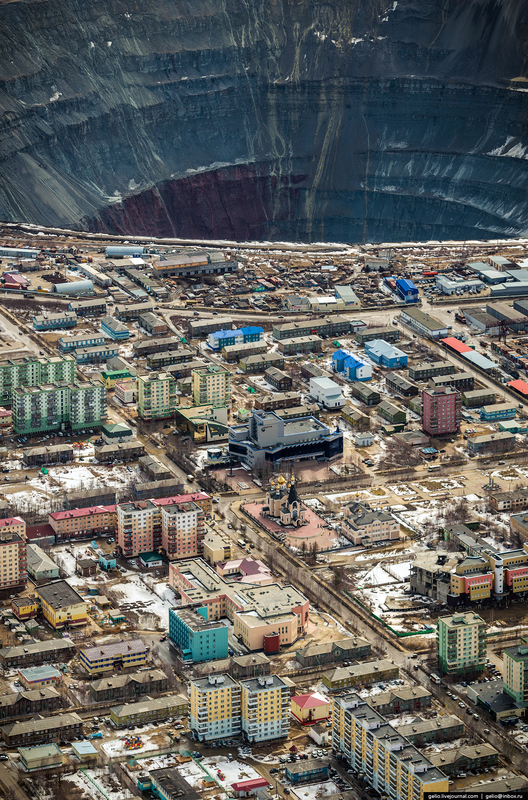 The Mirny diamond mine (aka Mirna, Mir, or “Peace”) is one of the oldest diamond mine in Russia, located in Mirna City, just below the Arctic circle in the Sakha Republic of Eastern Siberia in northeastern Russia. 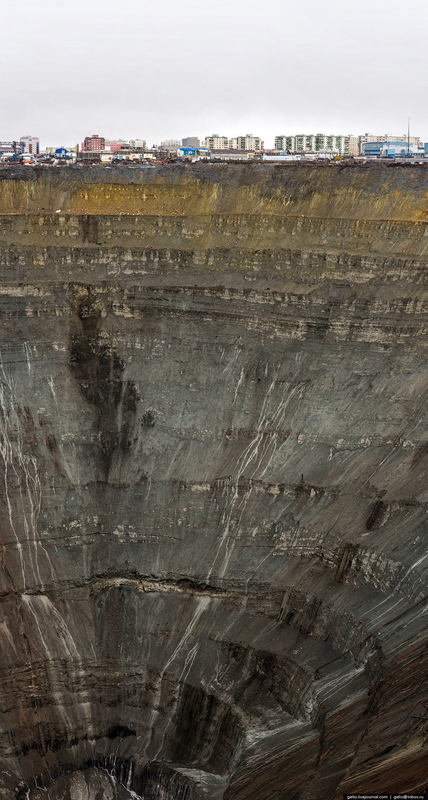 The Mirna mine is built over the Malaya Botuobiya kimberlite field. 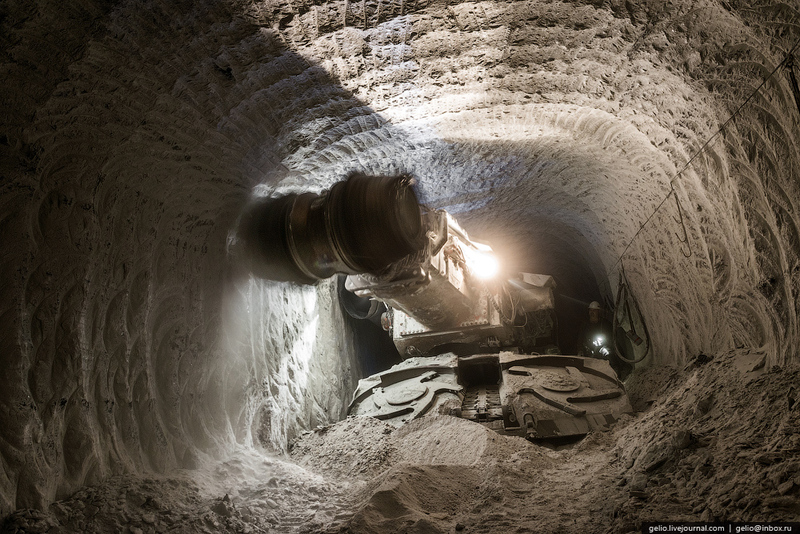 The mine is located in permafrost which extends to a depth of 1600 feet, and temperatures inside the Mirna mine range from -50F to -70F. 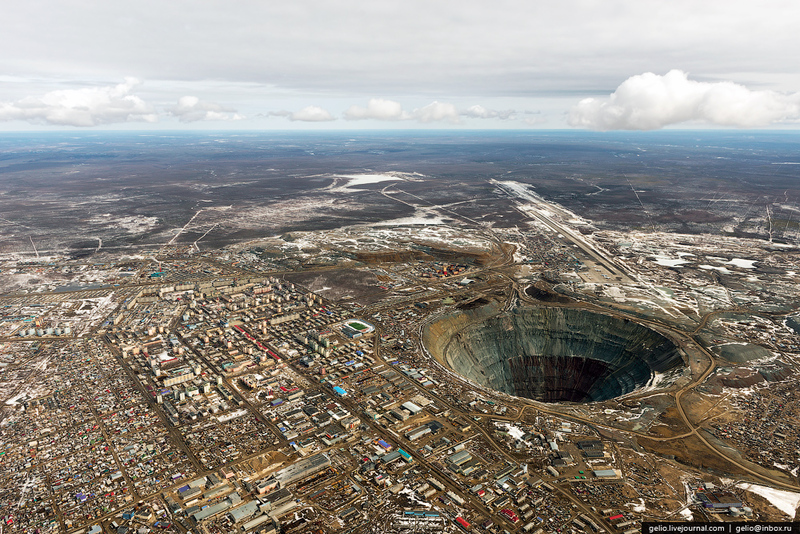 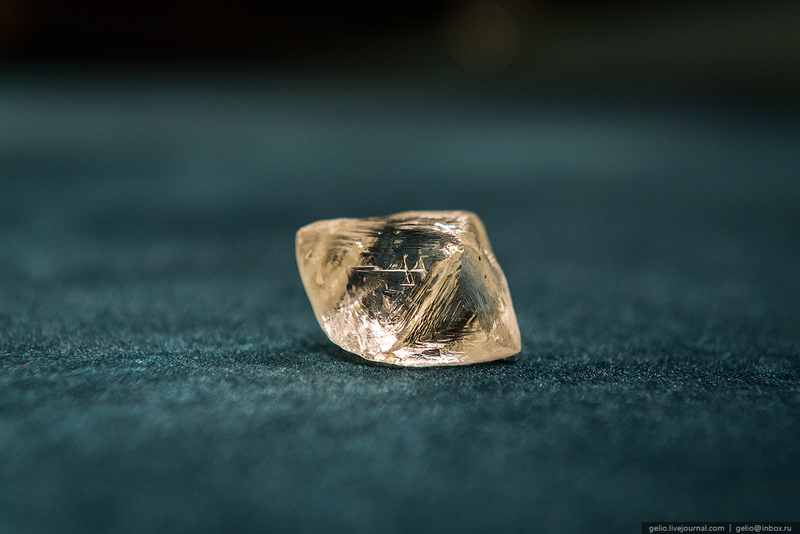 The Mirna Diamond Mine is the deepest open pit diamond mine in the world, and one of the deepest open pit ore mines in the world, at nearly 2,000 feet. 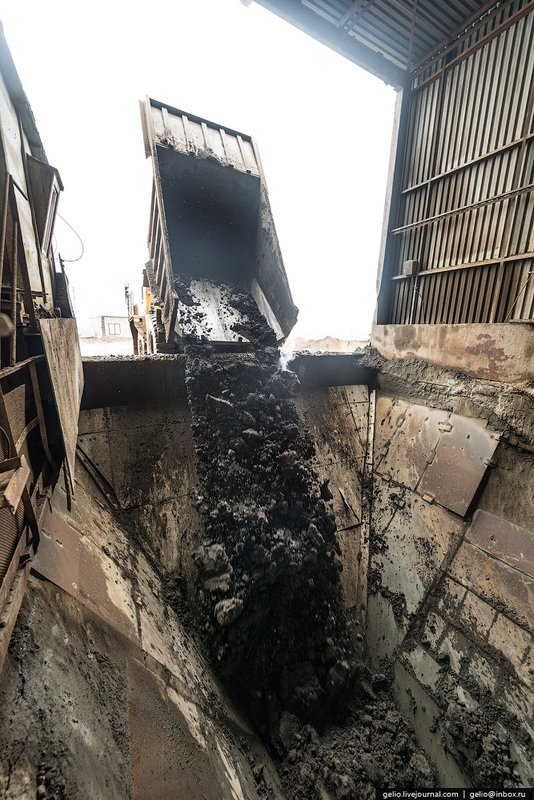 At that depth, it takes approximately 1 1/2 to 2 hours for an ore truck to drive from the bottom of the mine to the upper rim. 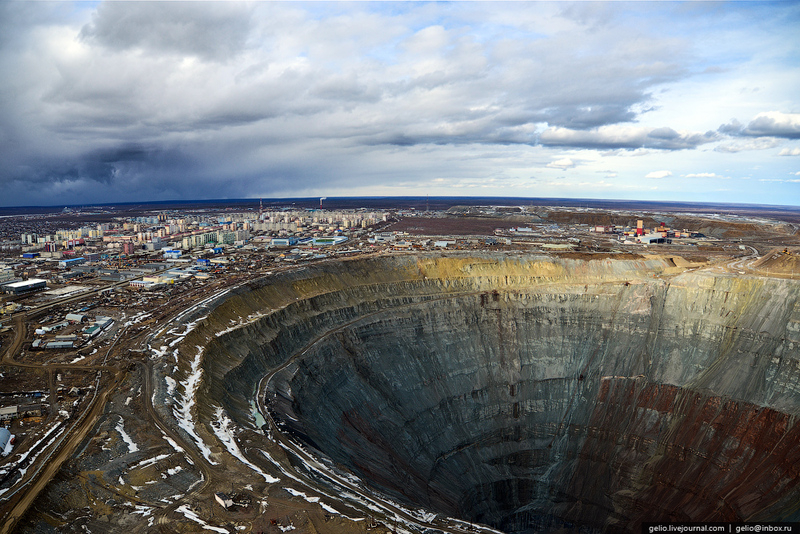 The first discovery of kimberlite in the Sakha region occurred in 1954, and the Mir kimberlite field was discovered in 1955. 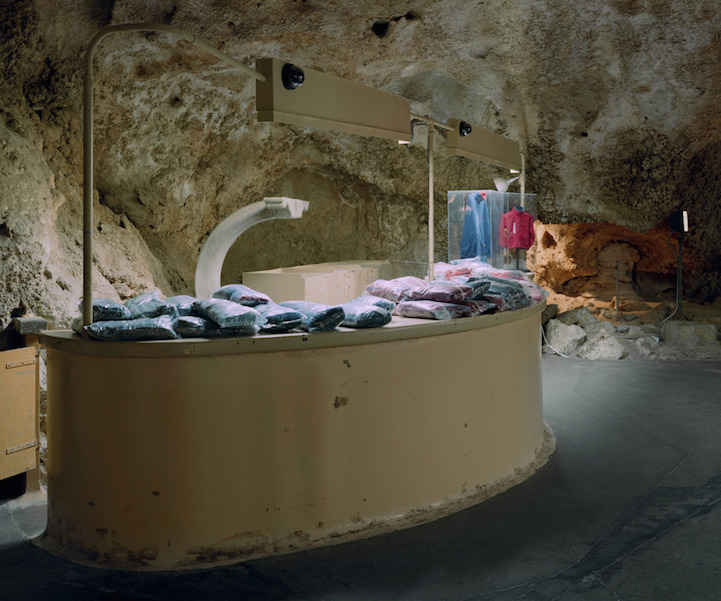 Opened in 1957, the Mirna mine has ceased operation since its exhaustion. 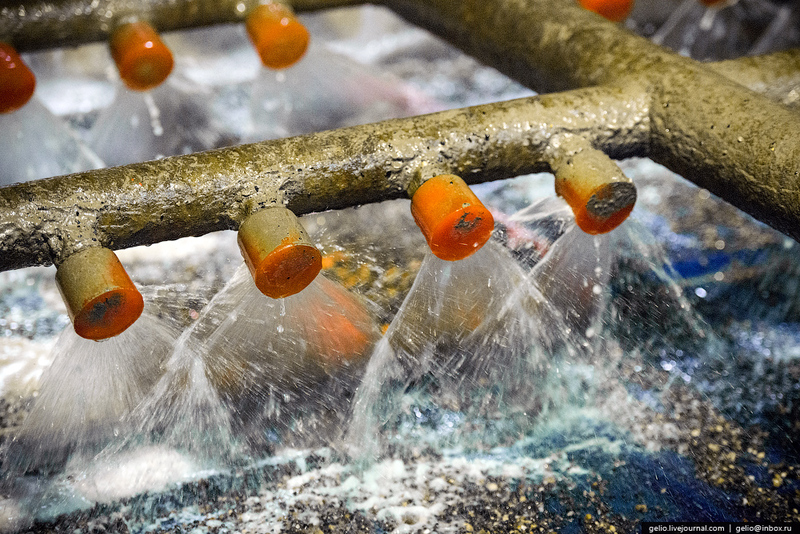 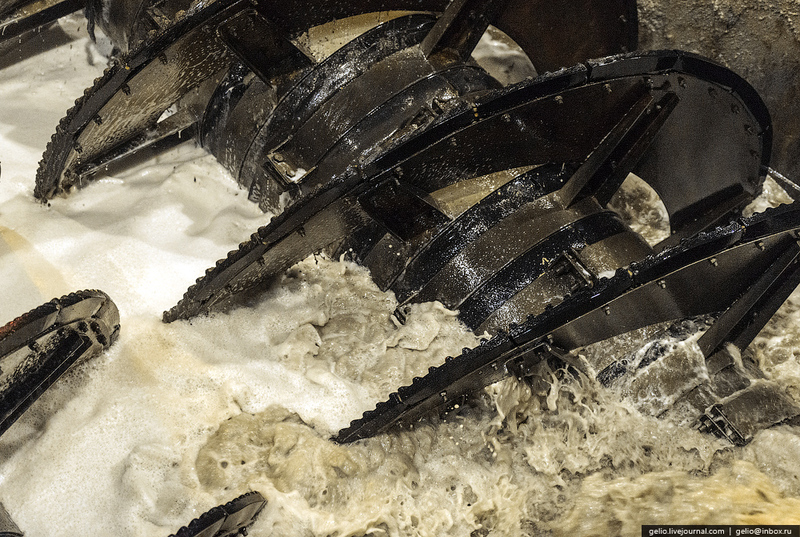 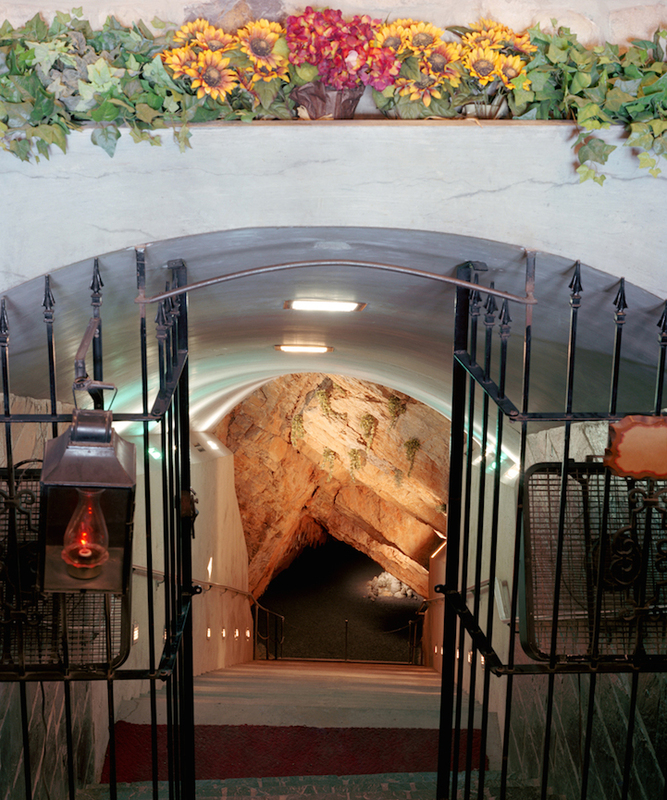 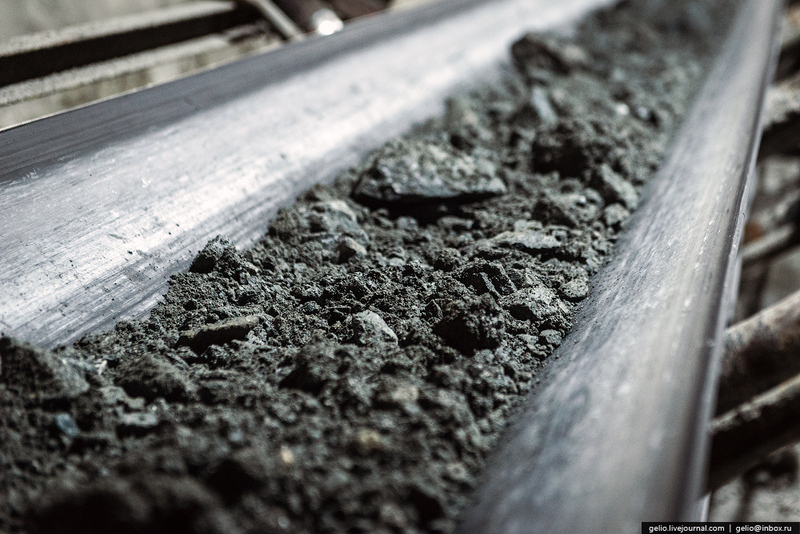 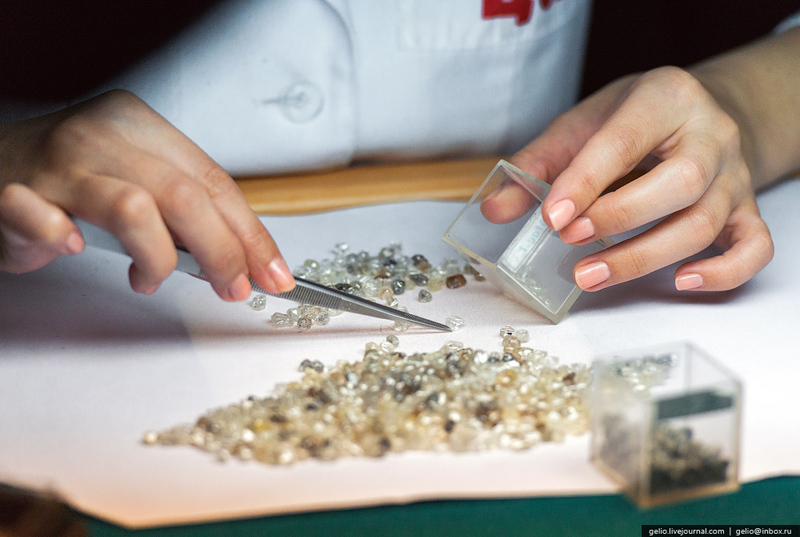 While in operation the mine had an averaged yield of 2 million carats annually. 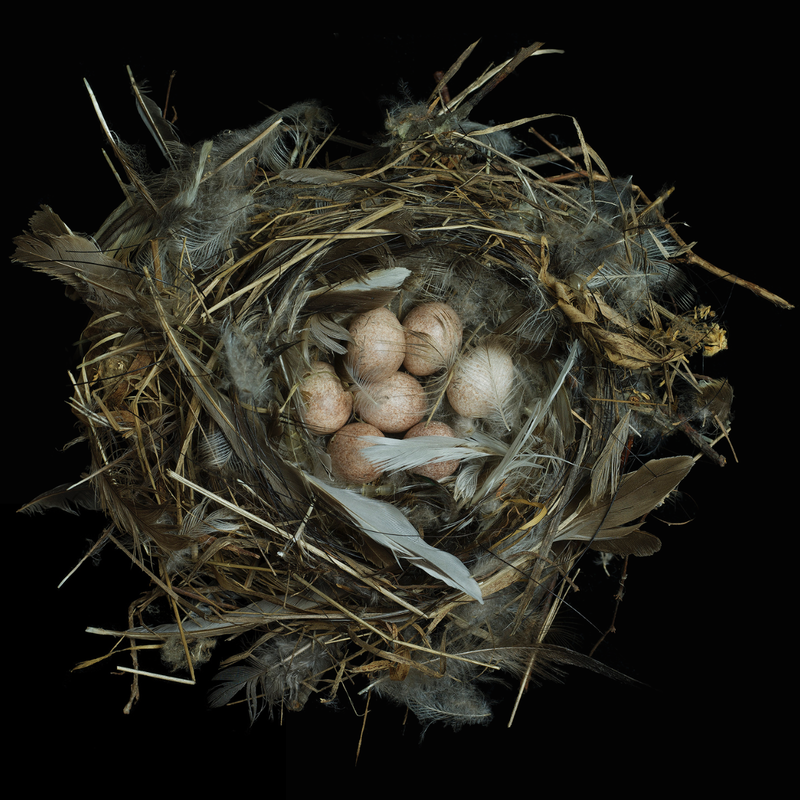 Bird nests, even without knowing which birds constructed them, seem hardly possible. 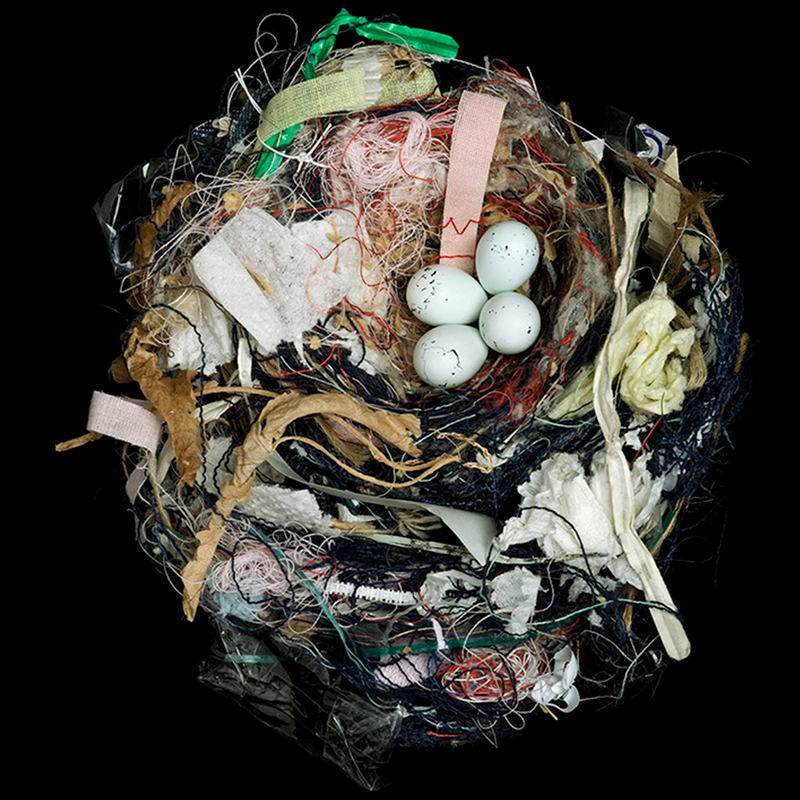 Creations of spider’s web, caterpillar cocoon, plant down, mud, found modern objects, human and animal hair, mosses, lichen, feathers and down, sticks and twigs–all are woven with beak and claw into a bird’s best effort to protect their next generation. 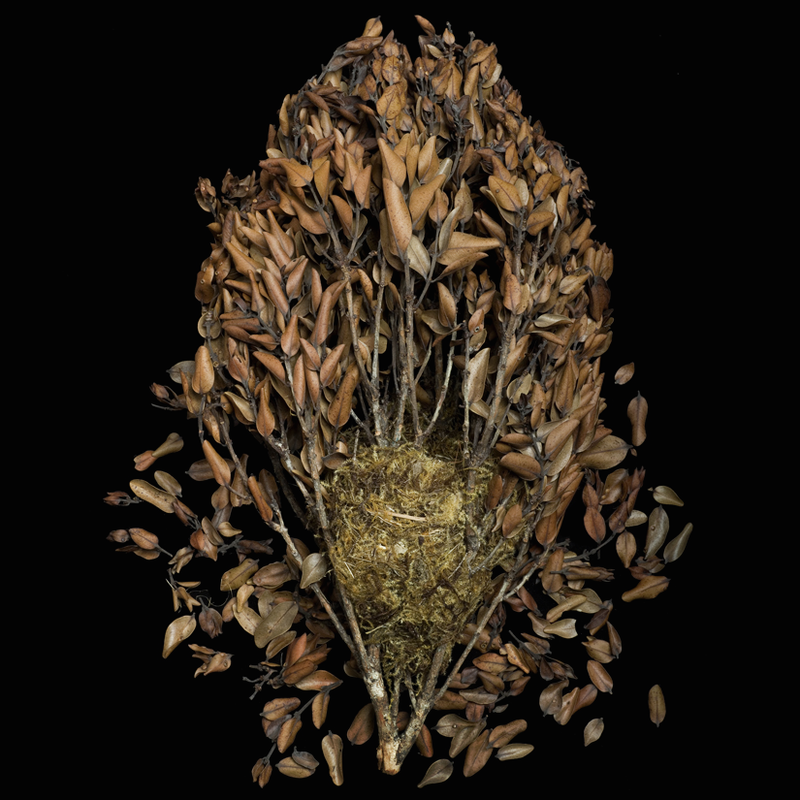 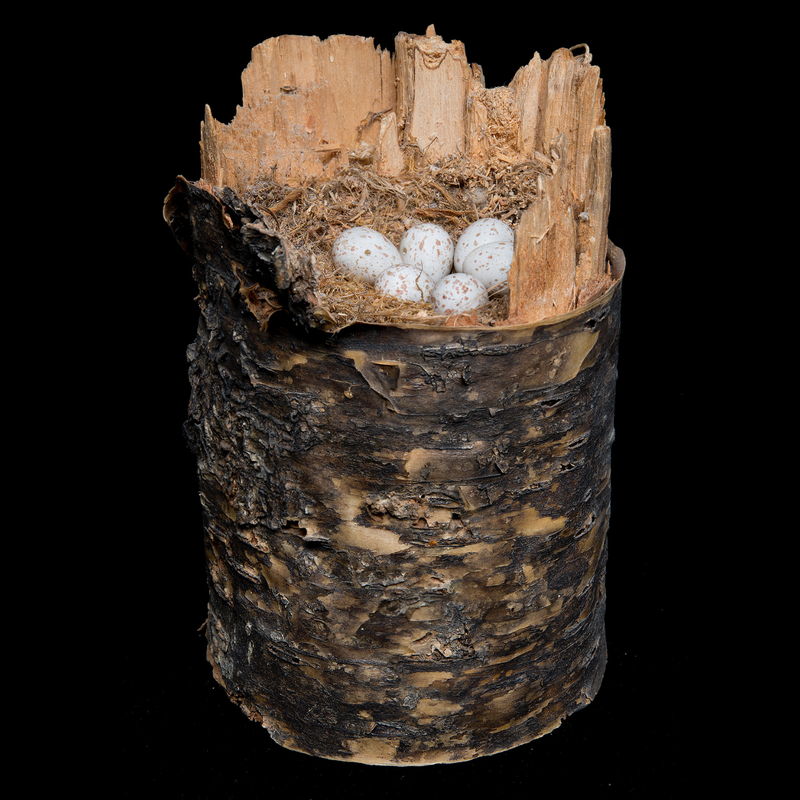 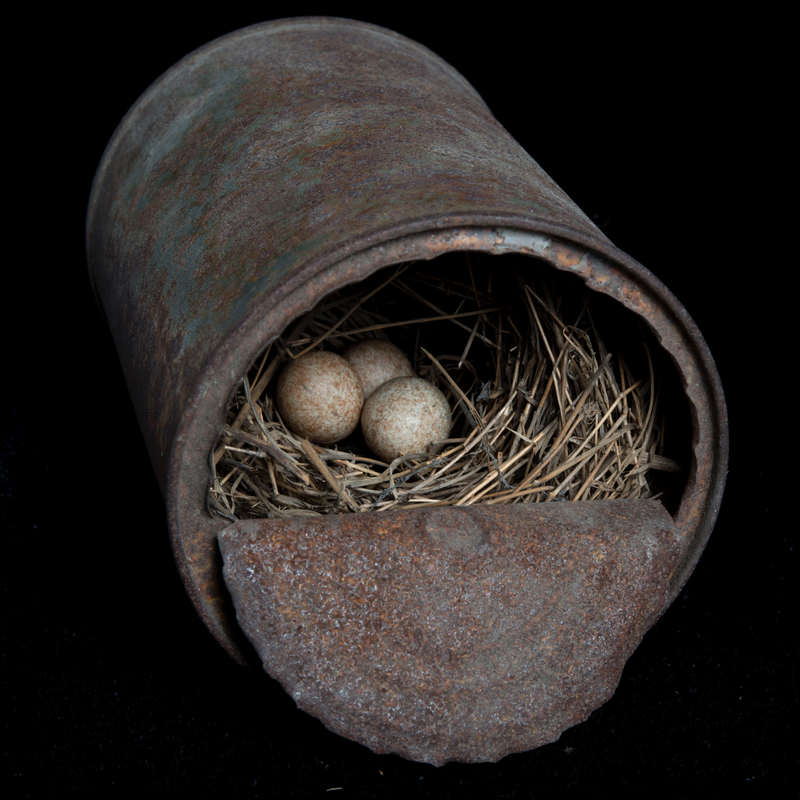 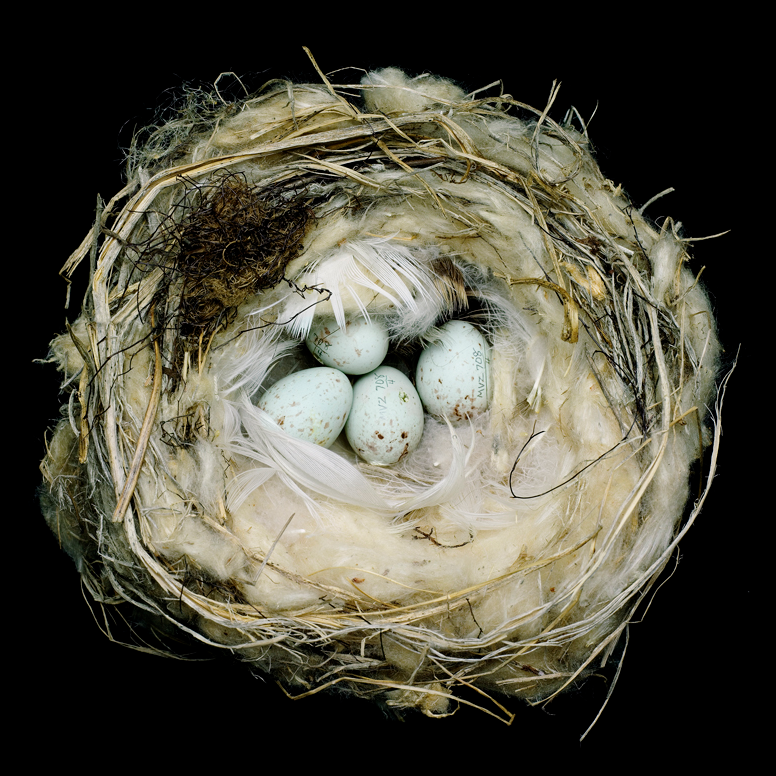 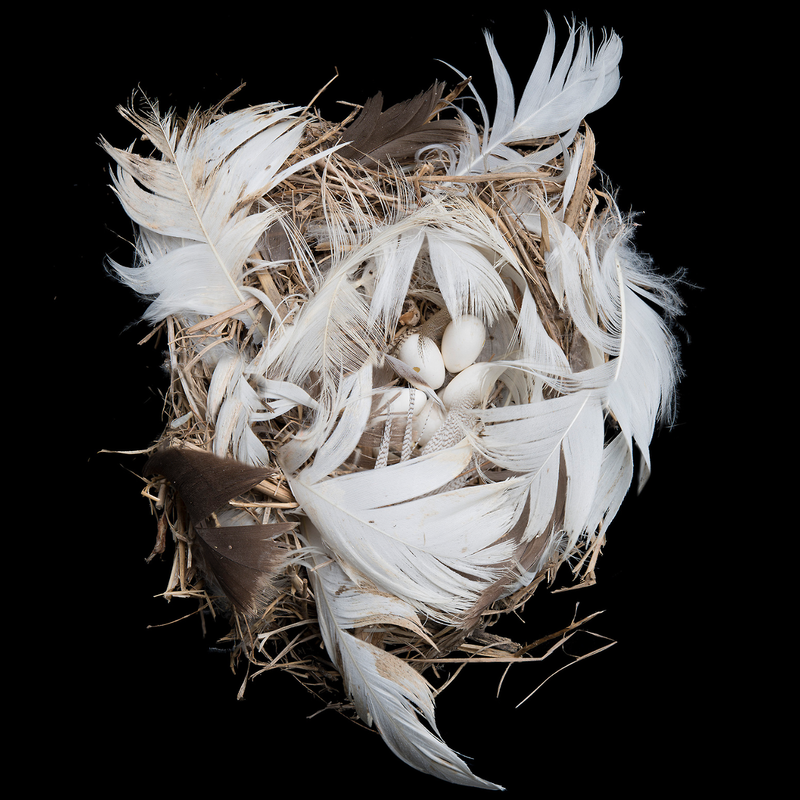 The nests shown here, some collected over a century ago, were photographed by Sharon Beals. 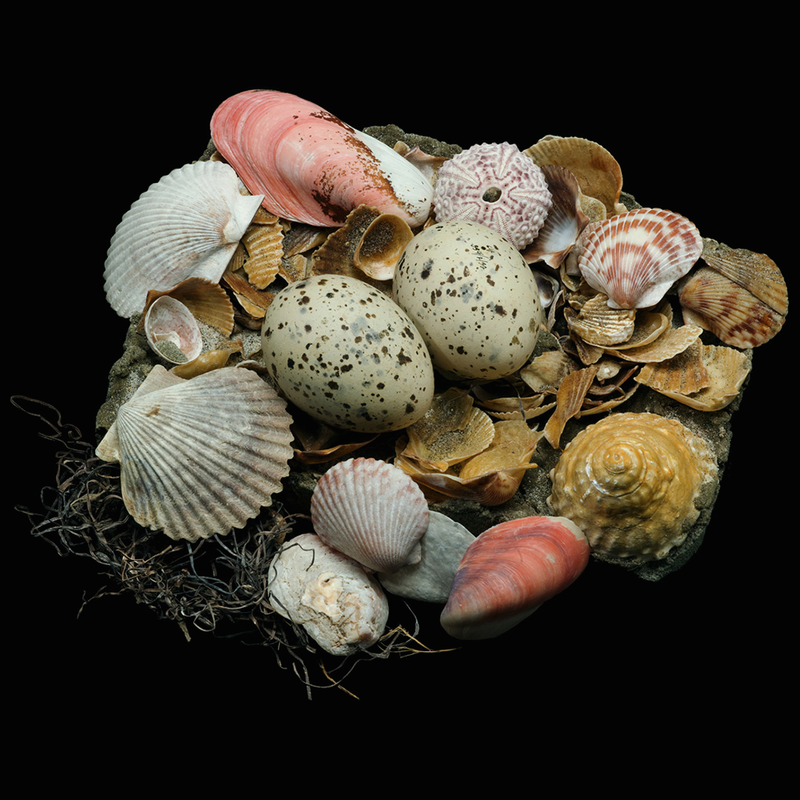 They were taken at the western foundation of vertebrate zoology in Los Angeles, which, with 18,000 specimens, now holds the world’s largest collection. 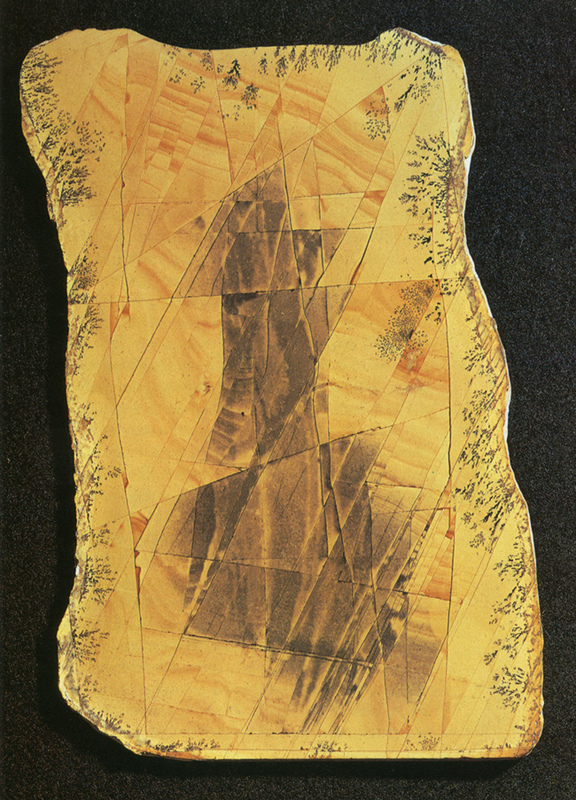 Surrealist and Sociologist Roger Caillois was known for his writings on biomimicry, especially within the insect world, pareidolia and lithic scrying. 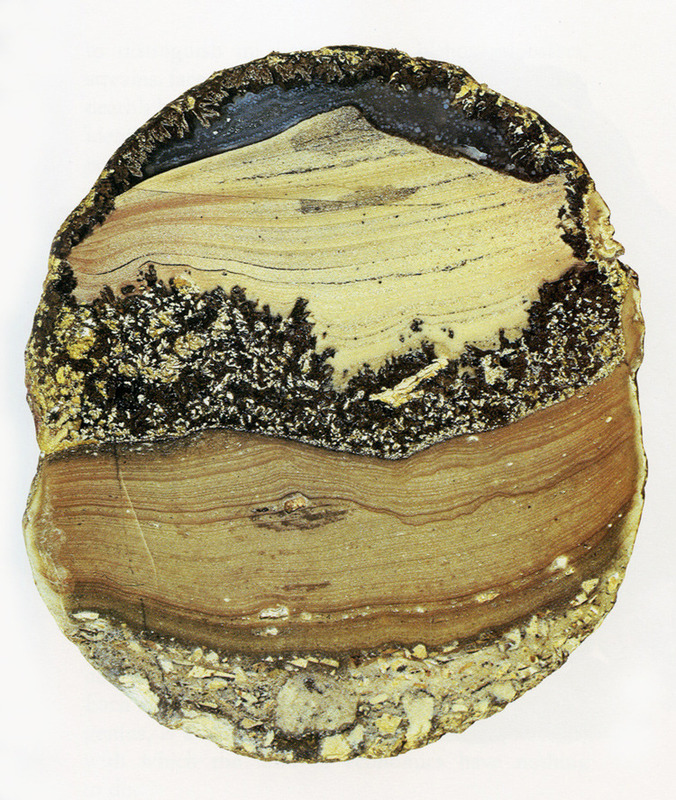 His latter interest provided us with The Writing of Stones, a book in which he unravels the ‘unfathomable graphic madness’ etched onto the rocks contained within the ‘archives of geology’. 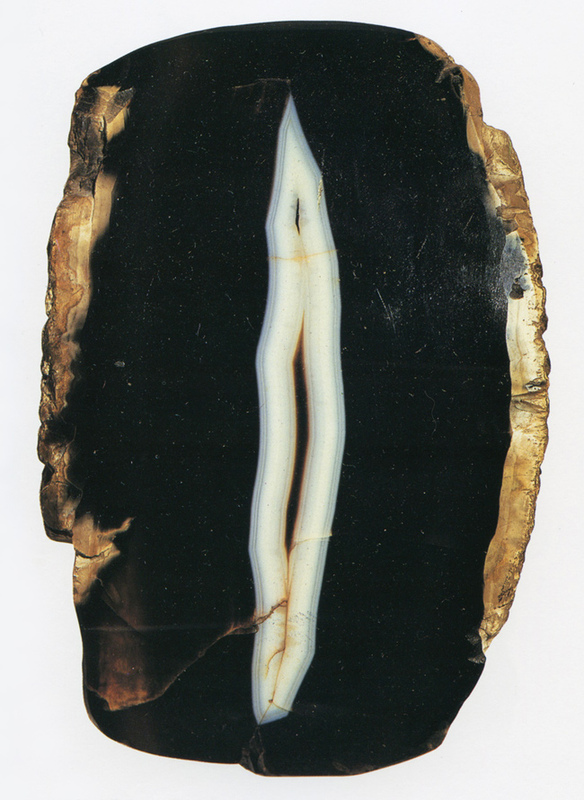 Each chapter of the book is dedicated to a species of rock – in each he channels ever increasingly dense, extravagant, and at times morbid tales from the authorless inscriptions each stone contains. 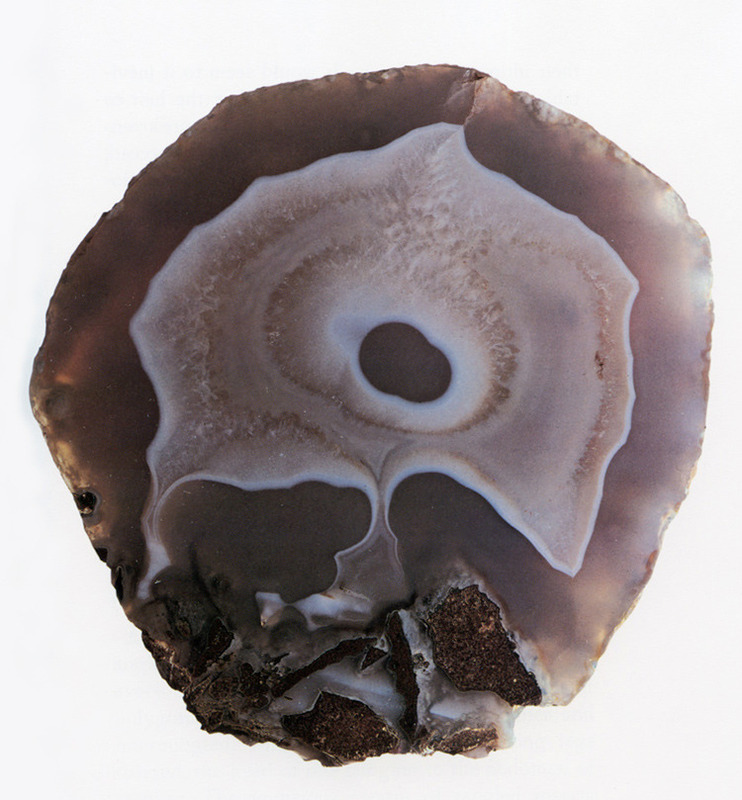 The Writing of Stones is a fascinating meditation on the human imagination contemplating the interior of stones. 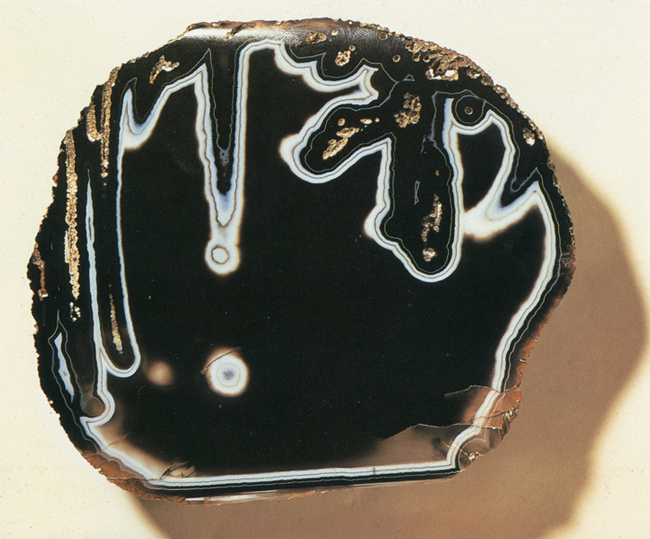 Caillois examines patterns that are revealed by polishing sections of minerals such as agate, jasper, and onyx. 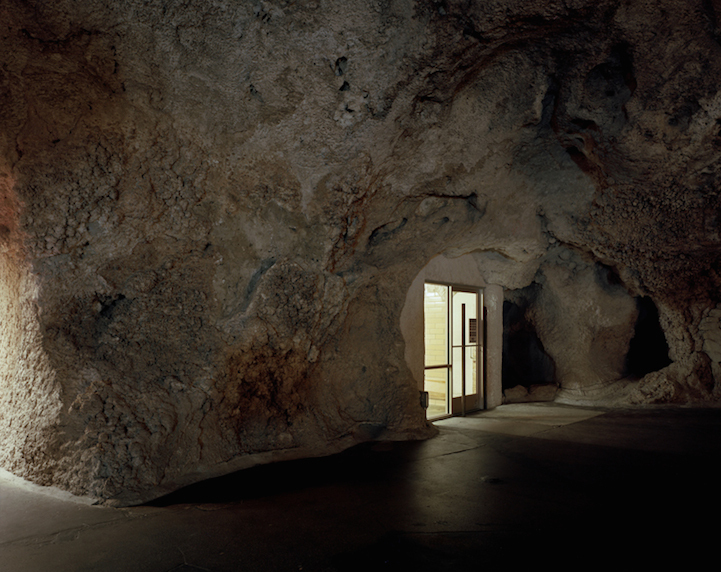 He considers the impact these configurations have had upon the human imagination throughout history and he reviews man’s attempt to categorize and explain them. 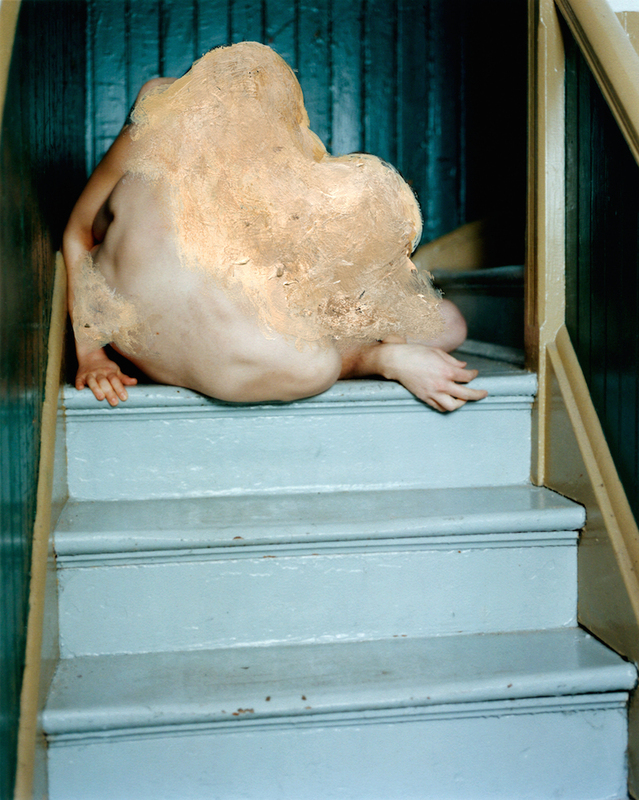 Marguerite Yourcenar [in her introduction] points out that “there had taken place in [his] intellect the equivalent of the Copernican revolution: man was no longer the center of the universe, except in the sense that the center is everywhere; man, like all the rest, was a cog in the whole system of turning wheels. 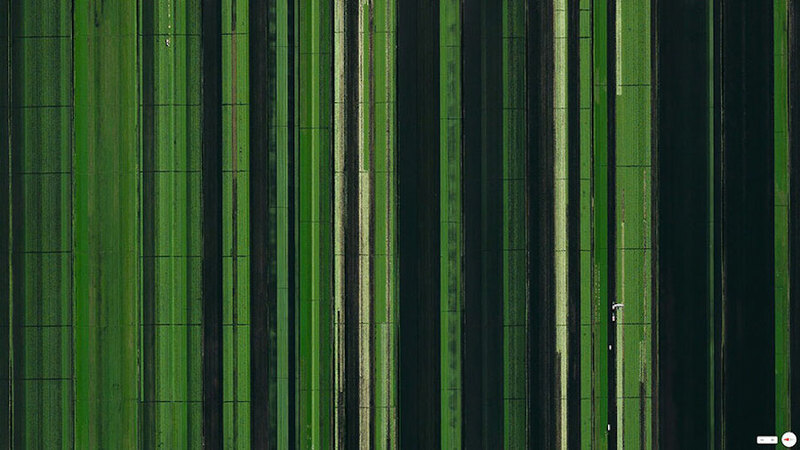 Quite early on, having entered ‘the forbidden laboratories,’ Caillois applied himself to the study of diagonals which link the species, of the recurrent phenomena that act, so to speak as a matrix of forms.” Caillois found the presence throughout the universe of a sensibility and a consciousness analogous to our own. 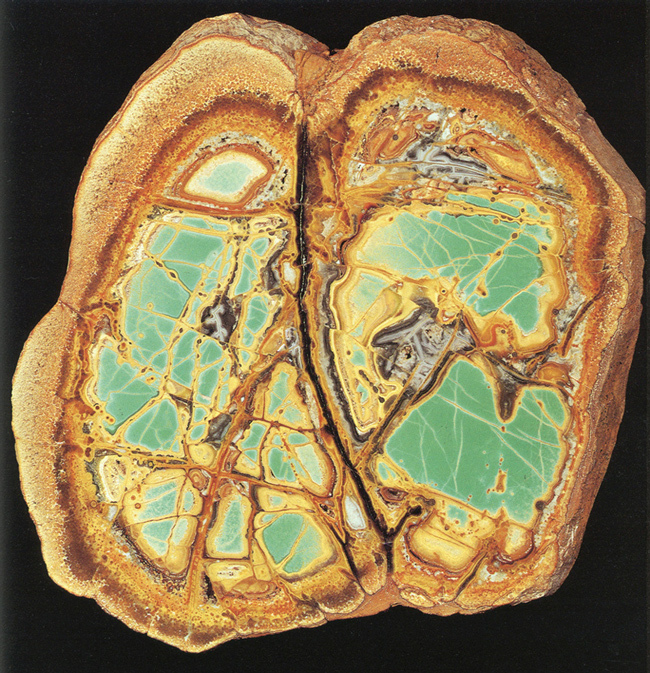 One way which this consciousness expresses itself is in a “natural fantasy” that is evident in the pictures found in stones. 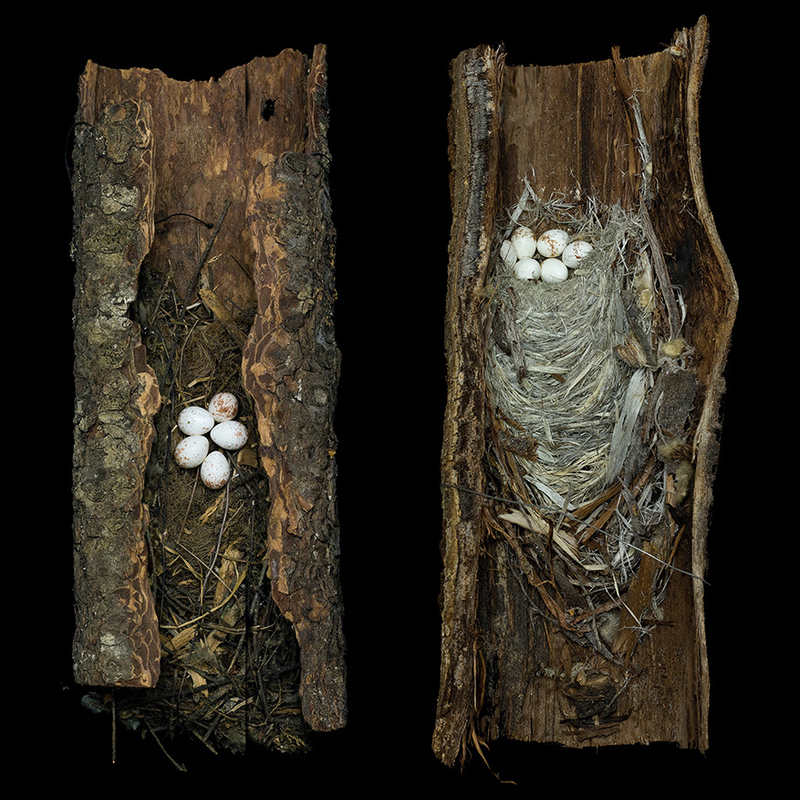 Man’s own aesthetic may then be no more than one of many manifestations of an all-pervasive aesthetic that reveals itself in the natural world. 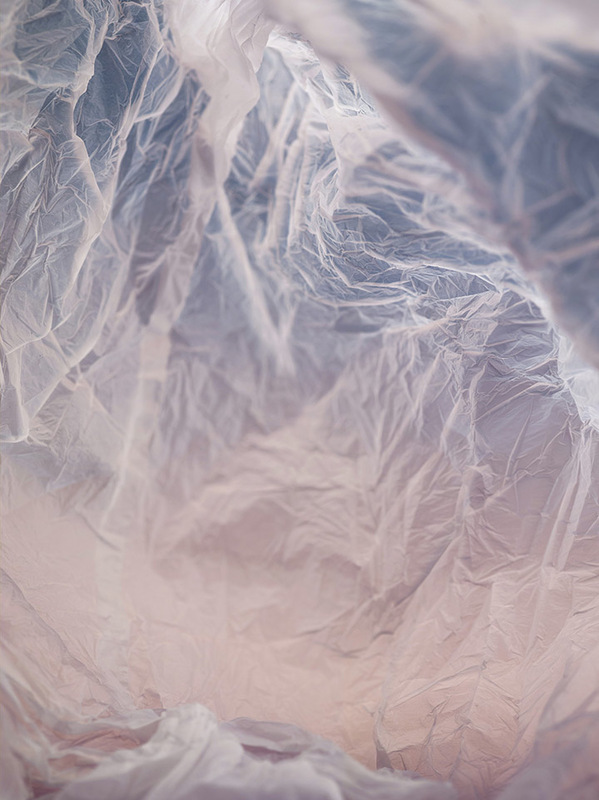 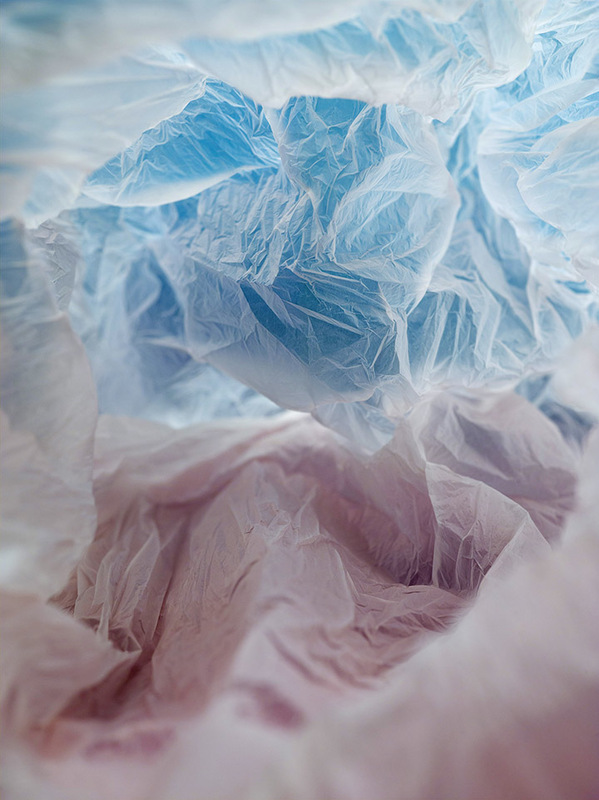 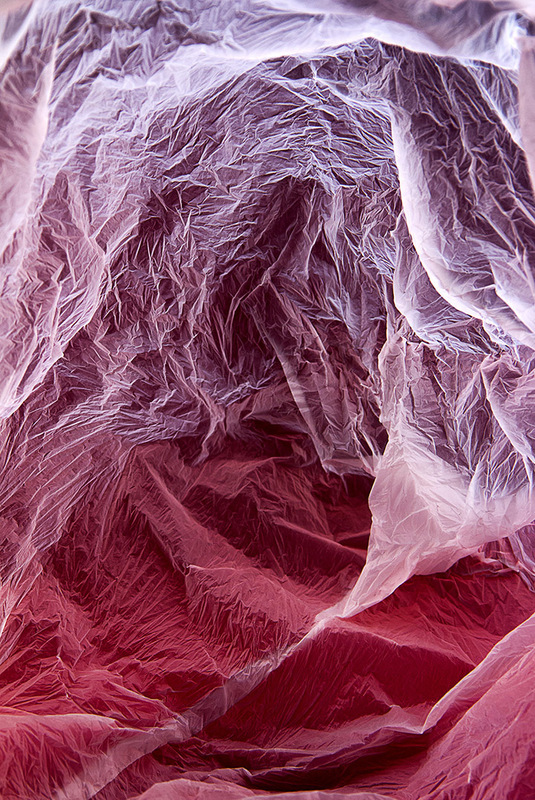 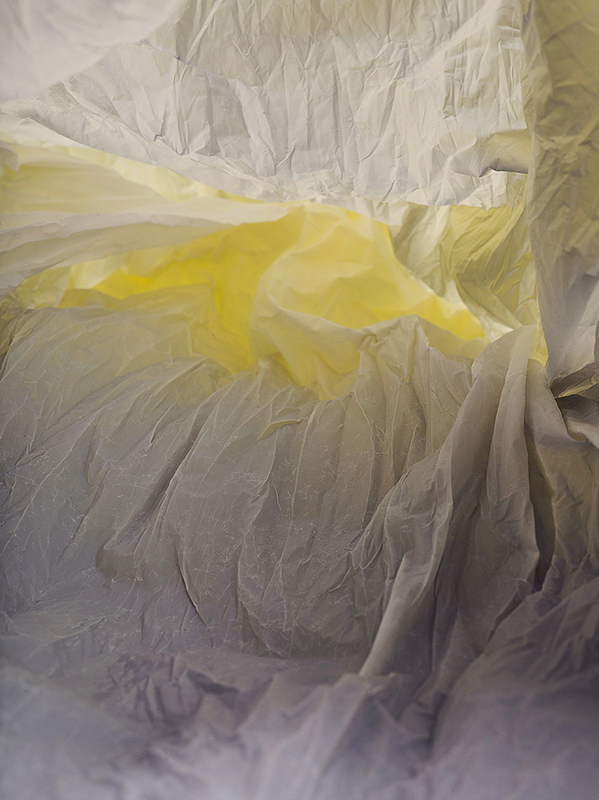 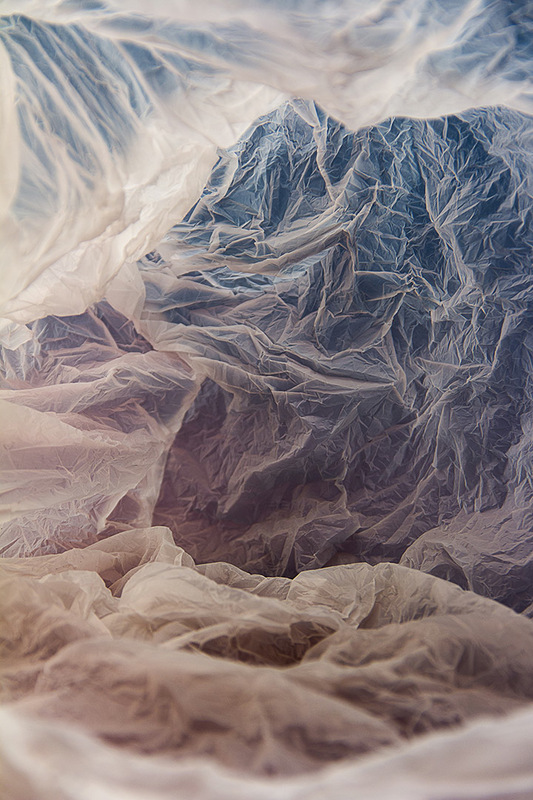 Plastic Bag Landscapes by Vilde Rolfsen. 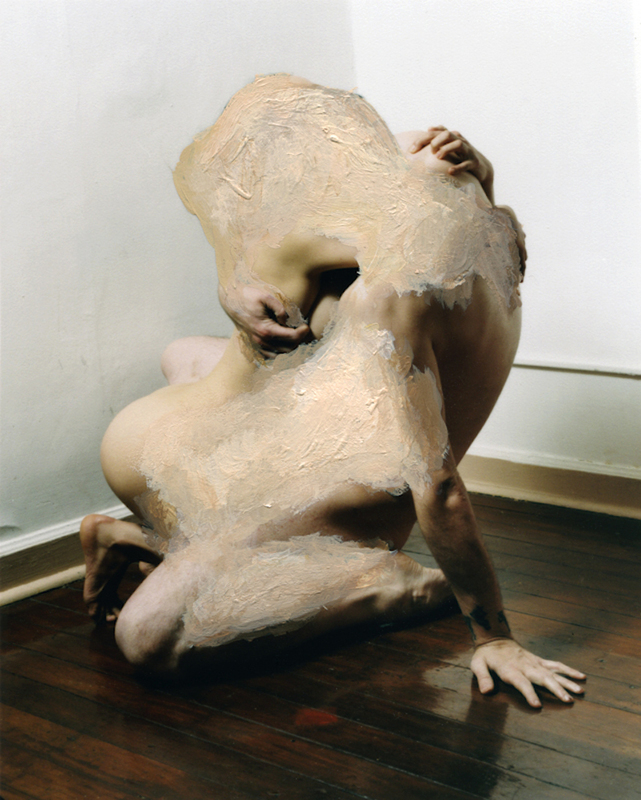 You are currently browsing the archives for the Photographics category.